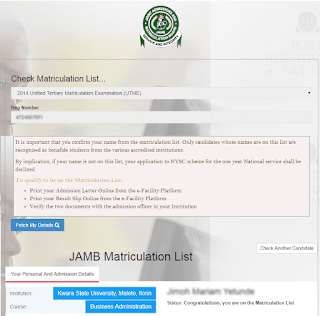 Starting from 2017, prospective JAMB/DE candidate are required to create a personal profile that will give them the access to register for jamb, print jamb result and check admission status plus other yet to be resealed services. Requirement: Valid email address and Phone number. Note: Creation of jamb or direct entry profile is free. 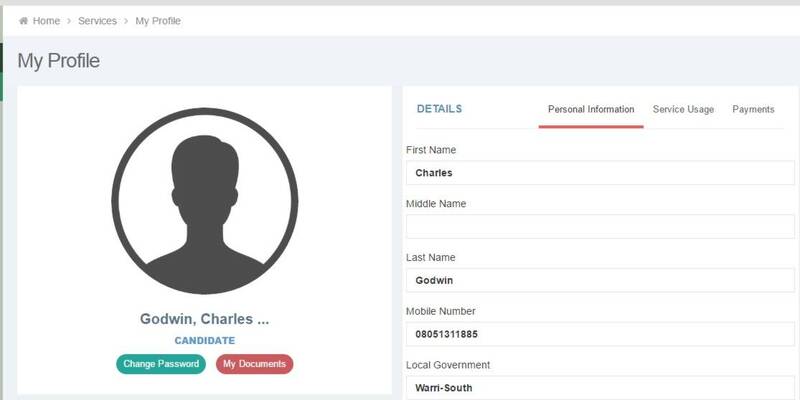 Below are detail step you need to follow to create your jamb or direct entry profile. b. Click on the create an account button to initiate the process. Note: You are advised to create an account with a valid email address because all vital information will be sent to the email you supplied. d. Type in your Security question answer. e. Confirm your security question answer by retyping it. f. Click on the Verify e-Mail button to proceed. 3. A message will be sent to your email address containing a link. a. On the next page that shows up, type in your personal details in the field provided, when done click on, the signup button. b. If successful you will get this message "Your Account Creation Was Successful. Proceed To Login" Click on the button proceed to login. 5. How to Recover/Reset Forgotten Password. This function is used when you cannot recall the password you used in the signup process. b. Type in your email address; date of birth and click on the get password reset link button. Password Reset Link has been sent to (your email). Please check your mail to change your password. d. Type in a new password you can remember, when done click on the button Change Password. 6. 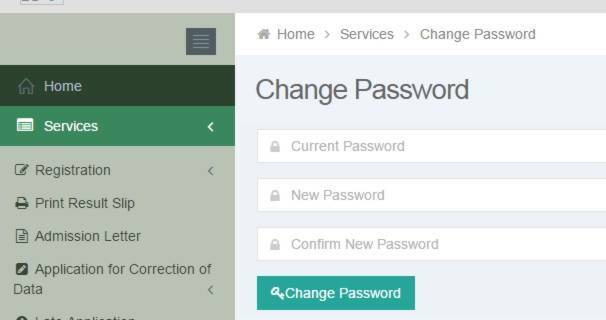 How to Change Jamb Profile Password. a. log into your account. d. Type in your current password. e. Type in the password you want to change to. 7. 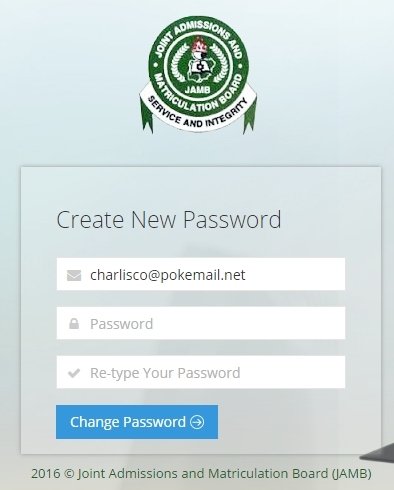 How to Log into Your Jamb Profile Account. b. Type in the username (email address) and password you used to sign up, and click on the login button. 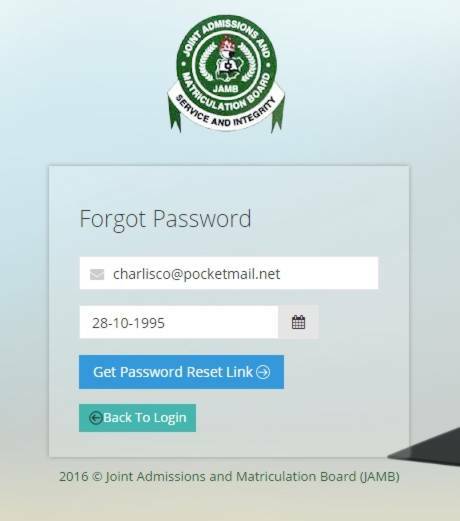 Why can't I access my jamb profile. Whenever I try logging in it shows invalid email address. And if I try resetting the password it says there's no record of the email address. Please help. 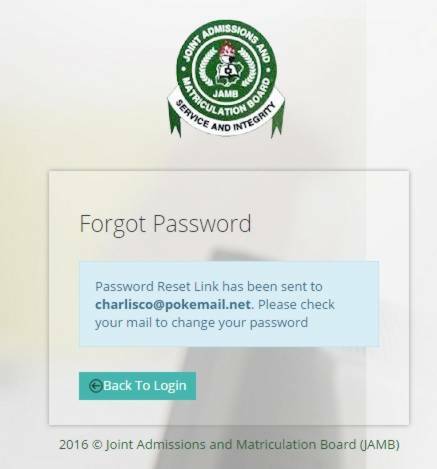 I created my Jamb profile but each time I try to aces it,it keeps giving me invalid e-mail address. Pls what can I do? Please the site says I can't create an account at this time.... Please advise.